Austin as Culinary Capitol: How'd We Get Here? Austin's Food Scene is rocketing to the top of best of lists, Statesman.com reports. We have a Top Chef Winner, a James Beard winner, a Food and Wine Festival, two high-end grocery store headquarters and more. How did Austin go from being the Live Music Capitol to the Tasty Food Capitol? Everyone has their own theory on how Austin evolved from Tex Mex and Barbecue to tops for innovative food choices. Top Colicchio from "Top Chef" puts the responsibility at the feet of UT. Tim Zagat of Zagat Surveys says SXSW brings a lot of new people to the area who could be responsible for the culinary revolution. It could also be due to the fact that we Austinites love to eat. A 2009 study by Bundle.com found that Austinites spend more on food than any other city in the country, so it would naturally follow that our town would be a great place to open a restaurant. Another reason for our food revolution is that Austin's relatively low cost of living and real estate is attractive to many star chefs who come from expensive cities on the coasts to live here, open a restaurant and raise their family at the same time. Many of these transplant chefs also praise the sense of community among cooks in town. 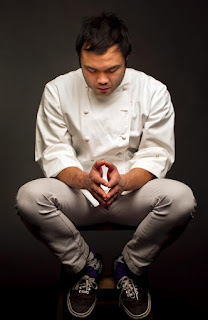 Rather than be competitive, chefs here support one another when one of them garners a big national prize or television spot. It's just further evidence of the laid-back, friendly environment Austin is famous for. Looking for an Austin Apartment of your own, close to the hottest new restaurants? Or maybe you want a dream kitchen in which to concoct your own culinary creations. No matter what you're looking for in your next home, contact Apartment Specialists today for help! Carpet Stain Removal can be key to getting back your deposit when you leave your apartment. Just because your clumsy friend knocks over a glass of wine or Fido doesn't make it to the door in time, doesn't mean you have to forfeit your hard-earned dough when your lease is up. This Old House.com has step-by-step instructions on removing every type of unsightly spot from your carpet. First off, no matter what has caused your stain, you want to remove it by blotting the stain working from the outside in, rinse with water, than blot again. You never want to rub your stain, which could destroy the carpet fibers or push the stain down to the carpet pad. If you do decide to use a commercial stain remover, make sure to test the product first in an inconspicuous part of your floor to make sure it doesn't cause discoloration. Also, to keep your carpet looking its best if you're going to live there for the long-haul, clean it or have it cleaned every 12-18 months. For water-soluble stains, such as alcoholic beverages, berries, colas, etc, make a cleaning solution of 1/4 teaspoon of non-bleach detergent or white vinegar mixed with 32 ounces of water. 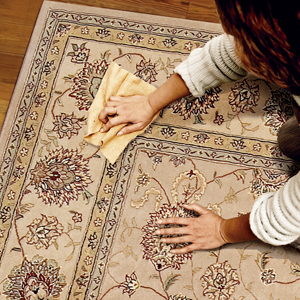 For fat, oil, and wax, put a paper towel on your carpet over the stain and iron on the warm setting. The stain should adhere to the paper towel. For glue, get a soft cloth or cotton ball damp with rubbing alcohol and press it on the stain. Once the glue is moistened, gently wipe it off and repeat until the stain is gone. There are many more types of stains, so visit This Old House for details on erasing any accident that comes your way! HUD's new Program, the Good Neighbor Next Door program, is helping local Austin educators and public servants buy the house of their dreams. The Department of Housing and Urban Development's program takes houses that were foreclosed upon after they were bought with FHA loans, and then offers special grants to police officers, firefighters, EMTs and teachers to buy the houses for half their value. In return, the recipient has to commit to living in the house for at least three years. The goal of the program is for these professionals to take a leadership role in the community around them, specifically ones that have been labeled as "undesirable". There are only four or five homes available per year in the Austin area, so the recipients are determined from a lottery of eligible applicants, KVUE.com reports. For many of these people who work so hard for the public good, this program is their only chance at buying a home. Looking for a home of your own? Apartment Specialists can help you find the perfect apartment to call your own! Renting with pets can be difficult. Often landlords have a "no pets" policy just because it's easier than having to establish pet-friendly policies. But due to the economic downturn, many landlords are changing their tune. Not only can landlords get more renters if they allow pets, they can even charge more in monthly rent as well as an additional security deposit for four-legged friends. MSN.com shares tips to make sure you can make the move with Fido by your side. It should be obvious, but make sure you are a good pet owner and can manage your pets' behavior. If you've gotten off on the wrong foot, contact your local humane society for low-cost classes, or even look online or check out a book on dog training from your local library. When you apply for an apartment, share with the landlord what you've done to make sure your pet is well-behaved and cared for. If you encounter a property you really love that doesn't allow pets, arrange for the landlord to meet your well-groomed and trained animal. Landlords have pets too, and may even see tenants who responsibly care for their pets as more likely to be responsible tenants. Finally, when you move into your new home, make sure to be a model pet-owner and tenant. That way you can pave the way for future pet owners and truly turn the tide to landlords accepting pets. Many complexes already have dog parks and other amenities that will make you and your furry friend's life more comfortable and an Austin Apartment Locator can help you find them. Plastic Bags and Paper Bags were both banned by Austin City Council in the wee hours of Friday morning, the Austinist reports. The actual ban will take effect next March, which gives you a year to get into the habit of bringing your own bags to the store. The City will spend $2 million dollars to educate the public on the the ban and to remind them to B.Y.O.B. (Bring Your Own Bag) to the store. Opponents of the ban brought up plastic bags' usefulness in being used for other purposes, such as picking up after dogs and lining trash cans, but city leaders said that the bags often end up as litter or as landfill trash. In addition, activists successfully persuaded the Council to ban paper bags, as they take a lot of energy to manufacture and transport. The Council wound up passing one of the broadest bag laws in the United States, joining over 24 other U.S. cities in banning plastic bags, but going a step further by banning paper as well. Most cities with bag laws impose a fee on disposable paper bags. Austin is also a trailblazer in this arena in Texas, being the first city to enact a bag ban. If you are an Austin Apartment dweller concerned about not being able to pick up after Fido when he takes his daily constitutional, fear not. Newspapers, bulk foods, and carry-out from restaurants are exempt from the ban. So just resolve to get your food from your local takeaway and you'll be fine. Or you can drop a few coins on the specialty disposable bags available at pet stores for just the purpose of cleaning up your doggy's waste. As for bringing your own reusable bags, I take mine back out to the car as soon as I'm done unloading the groceries, where they stay until they are needed for the next shopping trip. Once you get into the habit, it's really easy, and you discover that groceries are much easier to transport when you carry them on your shoulder, rather than by those thin plastic handles that cut into your hands. Happy B.Y.O.Bing!